MXF files are often produced by high-end camcorders, such as Canon XF series, Canon EOS C300/C500 (Conversion solutions for Canon footage) and Panasonic P2 series. MXF format is great for record high-definition videos, it can keep the high quality. But, MXF format video is not easy to use because many editing software doesn’t support this format, like Avid Media Composer. How to import Canon MXF to Avid Media Composer? How to convert Canon MXF to Avid? You need a Canon MXF to Avid converter to help you make Canon MXF compatible with Avid. UFUSoft MXF Converter for Avid is just the very MXF camcorder video converter for you to convert 1080p HD MXF for Avid editing. You can follow the brief guide below. Step 1. 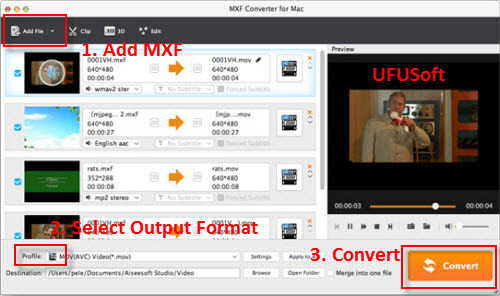 Launch the Mac MXF to Avid Converter. Drag and drop Canon .mxf clips to it. The converter works with MXF shootings taken with Canon XF series. And it supports batch conversion. 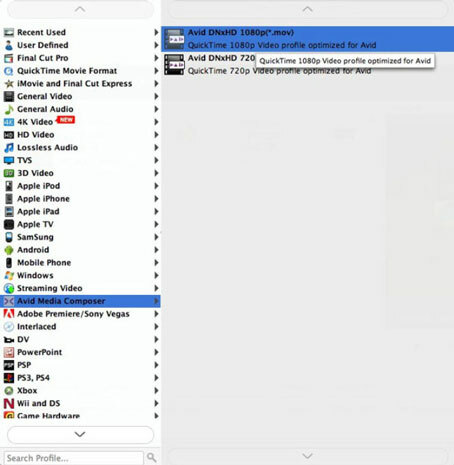 That means you can add several videos files for conversion at one time. Step 2. Click on “Format”, and select output format from the drop-down list. Follow “Avid Media Composer” > Avid DHxHD (*.mov)”, which is the best solution for editing Canon MXF footage in Avid. Step 3. Adjust the video and audio parameters including the Bitrate of Video&Audio, Video Size, Sample Rate, Frame Rate, Audio Channels, etc., by clicking the Settings button for getting the best quality before starting conversion. Step 4. Click the convert button under the preview window; the Canon MXF to DNxHD converter will start transcoding Canon MXF to Avid MC immediately. Soon after the conversion is finished, just click “Open” button to get the generated files for edit in Avid Media Composer perfectly.